The Links Widget displays a list of links (a.k.a. blogroll) in your sidebar. If you want to share a list of favorite sites or blogs, you can do so with this tool. 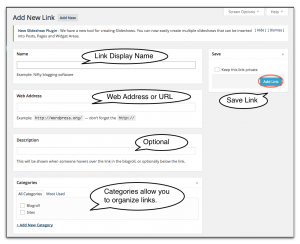 To add a new link to the widget, click on Links > Add New. Type in a Name for the link. This is the display name for the link. Click Add Link in the Save box. Continue adding links as needed. 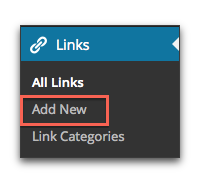 If you need to edit or remove a link, go to Links > All Links to make changes. Here is an example of what a Links Widget looks like in a sidebar. 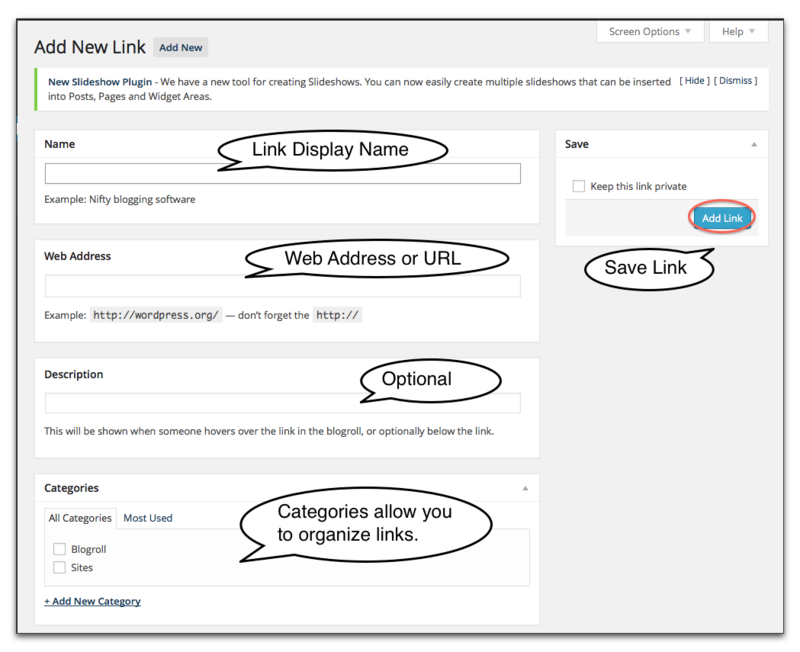 Drag the Links Widget to the appropriate widget area or select the widget area and click Add Widget. If you have categories, you can select which category you want to display. Decide if you want to limit the links shown. Note: If not all of the options are available, it is likely due to the theme. Older themes may not have all the options. You can view the links on your site by going to the public view of your site.